Velvet Paw Creations: "Lil Pumpkin Grumpie" Kid's Halloween Card for Smudgy Antics! "Lil Pumpkin Grumpie" Kid's Halloween Card for Smudgy Antics! 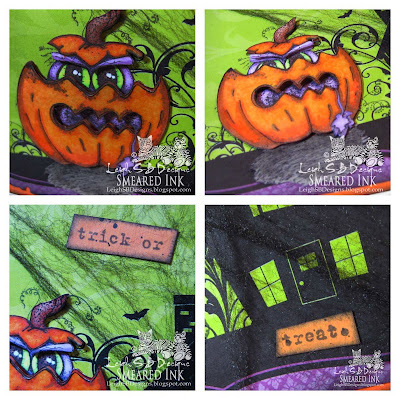 It's week 2 of our "Smeared Ink Images Only" Challenge over at Smudgy Antics and here's my DT creation for your inspiration! 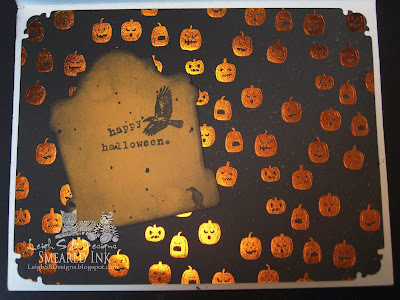 Just a quick reminder that I'm having a huge 31 Days of Halloween Scarefest right now over on my DominoART blog which is also taking part in the Smeared and Smudged blog hop! Come and join us for the chance to win some awesome prizes! I made this Halloween card for my nephew, I think he's going to love the adorable Lil Grumpie monster that's peeking out of that pumpkin don't you think! 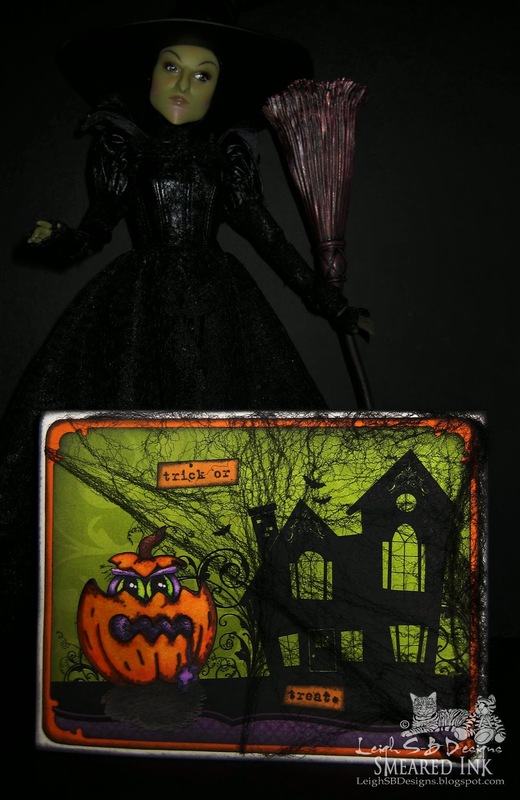 My Wicked Witch doll from the "The Great and Powerful Oz" movie is keeping her evil eye on things to make sure Grumpie gets up to no good when we're not looking...bwahahahaha! 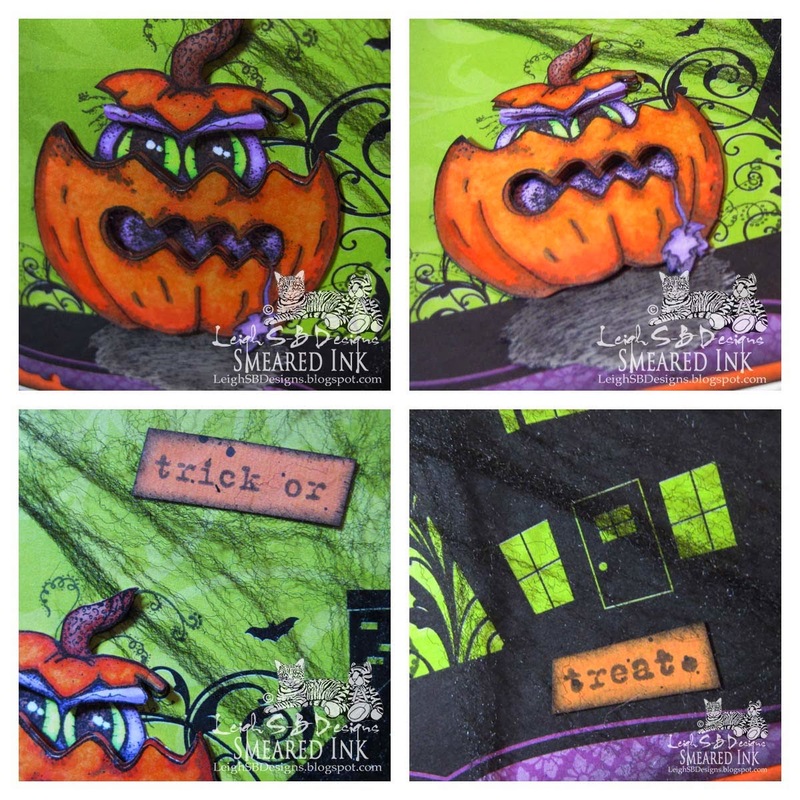 The rubber stamps are all from Smeared Ink's exclusive Rubber Club sets. I stamped the lil Grumpie onto the haunted house cardstock with Memento Onxy Black ink first so that I didn't loose all the curly tendril details in the image. I then stamped the grumpie 3 more times onto Neenah Solar White cardstock and fussy cut them all out. Everything was coloured with Copic markers and then I fussy cut out the sections I wanted to use to build my 3D image. I curved the two pumpkin sections and adhered everything with a 3D adhesive so that they would retain their dimension. Thank you for visiting with me today and I hope you'll come and play in our Smudgy Antics challenges and I'll see you over at DominoART! 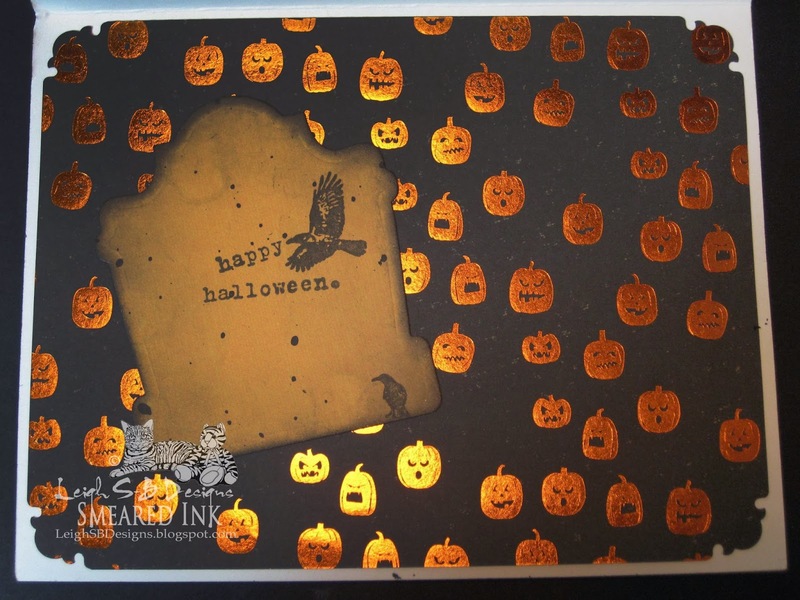 Very cute Halloween card! Love the cobweb netting!! Thank you for joining Left of Center! Love that dimension on that Grumpie. Color on him and pumpkin is beautiful. 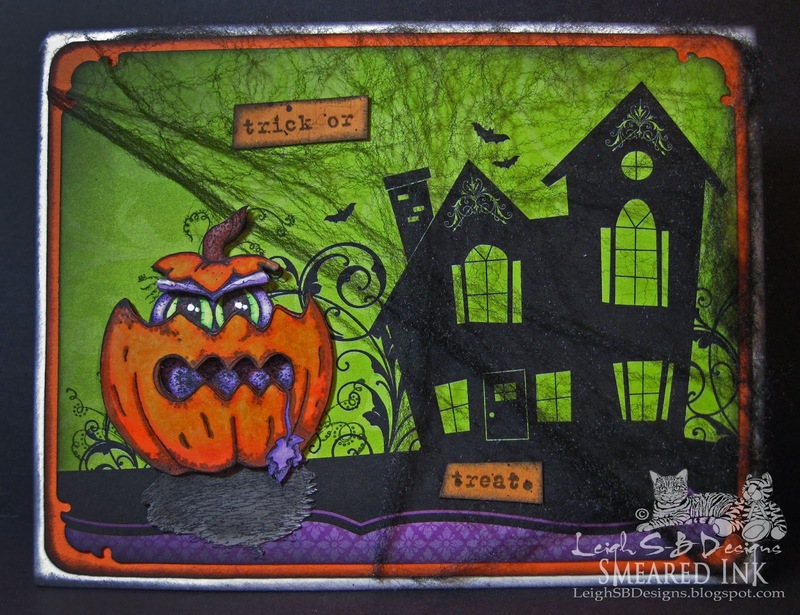 What fun paper and great use of the webbing. Awesome inside. Those foil pumpkins kill!